Back before I got married, I used to bowl on Thursday nights in the old Port Jackson League and then head over to Shorty’s for a few beers with my brother. By then Pete Leggiero had taken over the business from Shorty Persico and he would let his patrons play rummy. Our regular game would usually start just after 11:00 PM and include myself, Nick Fusella, Ralph “Nutsy” Baia and today’s Amsterdam Birthday Celebrant, Ralph DiCaprio. Now since I was maybe nineteen years old at the time playing against three senior citizens who had lived in Amsterdam all their lives, I learned more about the history of this City during those rummy games than I ever could have from any other possible source. I also regularly got my rear end handed to me in those card games. I felt like a five year old trying to outsmart Plato, Aristotle and Archimedes and I never could. The reason why we had to wait till after 11 to start those Thursday night rummy games was because Ralph Dicaprio was the Manager of the Tryon Movie Theater in downtown Amsterdam. For those readers not old enough to remember the Tryon, it was by far the nicest theater in Amsterdam in its day, plushly and spiffily decorated, clean and it featured the latest of Hollywoods best movies. It was a part of the Brandt Theater Chain. 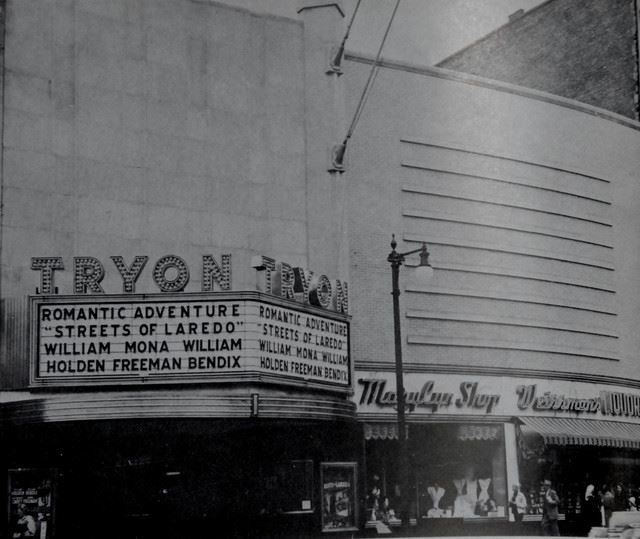 The Tryon opened in 1948 in what was one of the coolest buildings on Main Street. The art deco two-story front facade extended from above the theater’s large brightly lit marquis and continued eastward over neighboring MaryLou’s Dress Shop and Weissman’s Liquor Store. It was located on the north side of Main about in the middle of the block that extended from Chuctununda to Church Street. 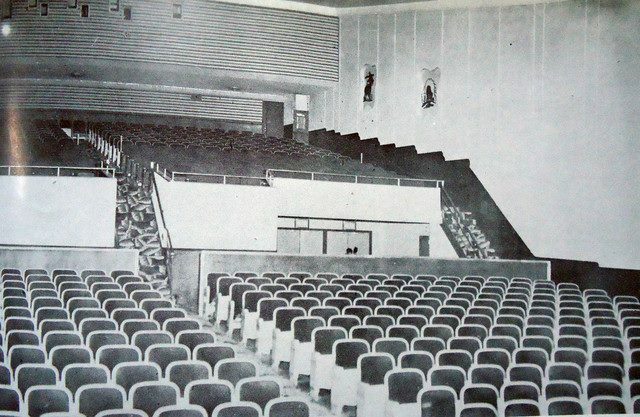 The main seating area of the theater was huge and in the rear of it, stairs led directly up into the balcony. Plush velvet upholstered seats assured movie watchers of comfort even during double features. You can read the rest of my story about Ralph in my new book “A Year’s Worth of Amsterdam Birthdays.” To order your copy, click here. Interesting! My Dad,Sam Weissman, and mom,Ethel Frankel Weissman, ran the liquor store in the Tryon Building and “uncle”Ralph allowed me to go in and watch movies when I was little. Seems like yesterday when Amsterdam was a great place to grow !